Bonjour lecteurs! We are nearly reaching the end of our 12 Days of Frenchie Christmas and today is another chance for you to get some fab product. En effet, the weather is getting colder (we even had some snow this weekend, right?). So you have aujourd’hui l’opportunité to win a BabyHub Compact Footmuff worth £49 and it could be handy right now! Keep your little ones safe and warm this winter with this full length, fleece lined, universal footmuff that packs away in your bag! Ready to win it? C’est parti! BabyHub is an innovative brand that is here to help parents with its safe, desirable and dependable products. Indeed, it develops and delivers intuitive, safe,well-thought-out products that are stylish and dependable in the home or on the move. We particularly love the Sleepspace. The label truly believes that its mission is to make parents’ lives easier and babies’ lives safer. Indeed, the shop offers a fab choice of award-winning products such as the Compact Footmuff we are about to give away. I don’t know about you but every time I try to protect Baba with a blanket in his pushchair, he always kicks it out. 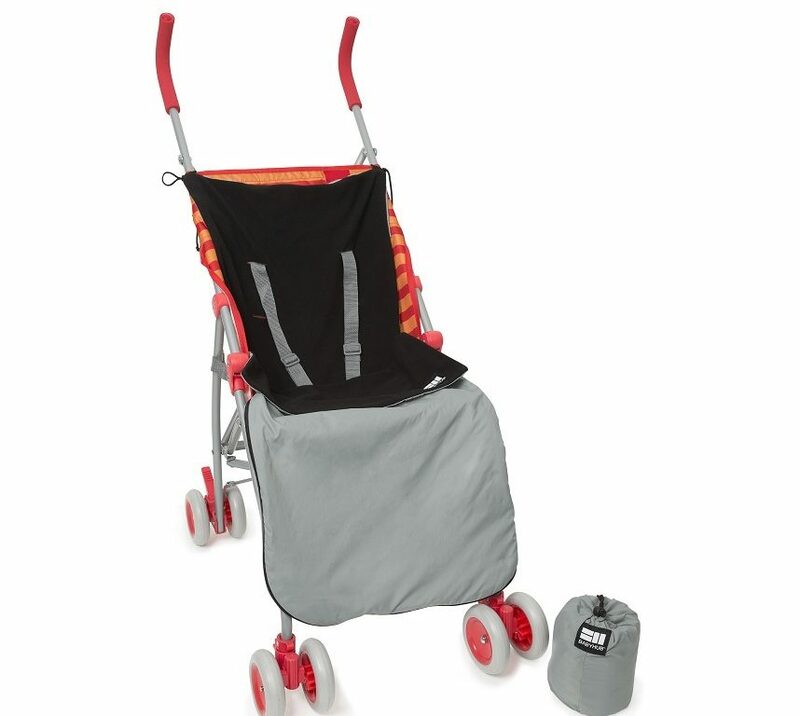 The BabyHub Compact Footmuff is a fab item for the season. Designed to be easy to pack away, it makes a great protection for babies against the cold and rain. The BabyHub Compact Footmuff weighs less than 300g and is under 15cm long in its draw-cord bag – it takes up very little space in a parent’s bag but when unpacked is a full length universal fleece-lined footmuff. 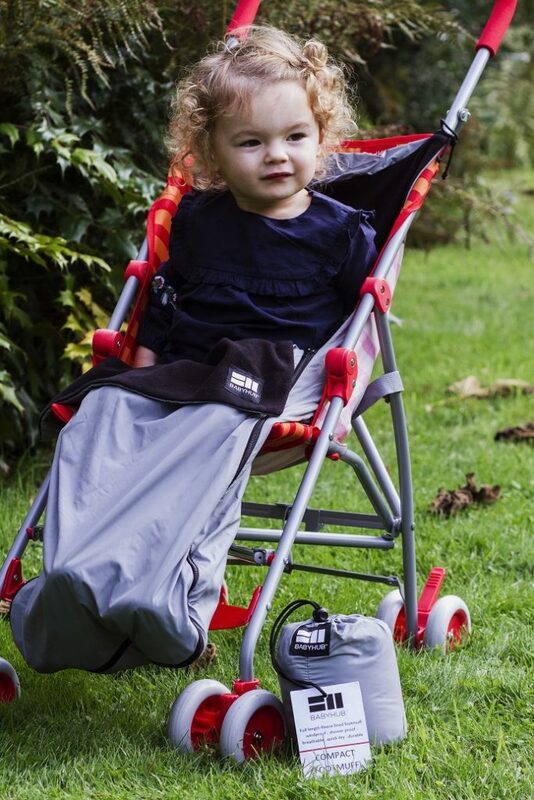 Suitable for use with any stroller/buggy, the specialist outer material is durable, shower proof, wind-proof and breathable. Knowing that it’s safe for le bébé is a big plus for moi! The perfect way to travel in a pushchair! En plus, it’s also parfait for cool spring and summer evenings, especially when travelling and on holiday. Designed in Britain and manufactured at its best, it will become your new essential! Another fab feature we love about it? It’s super-soft, windproof, shower-proof, durable and once you have finished using it, it dries up quickly. Are you off to many adventures with your little one in a buggy? Do you want them to feel warm and cosy? 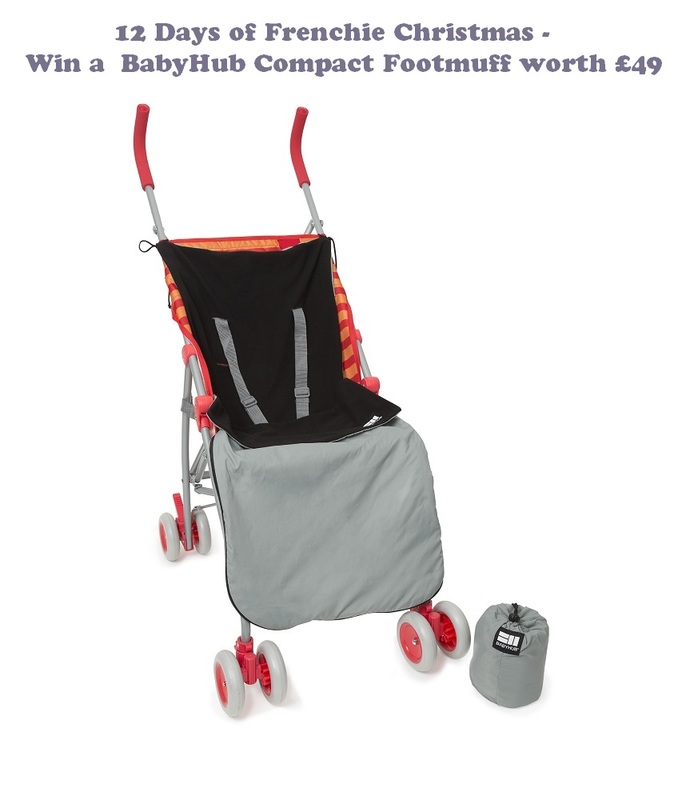 Then, enter our giveaway now to win a BabyHub Compact Footmuff worth £49. Win this fab product now! It will become your new best friend, especially now as the weather is getting colder! This giveaway starts on Monday 11th December at 12 pm and ends at midnight on the 11th January 2018. Provision of the prize is the responsibility of BabyHub. 12 Days of Frenchie Christmas continues tomorrow! Merci for reading 12 Days of Frenchie Christmas – Win a BabyHub Compact Footmuff worth £49! We are so excited to win such a fab product and many other fab giveaways over the festive season. See you tomorrow to win a super Squiz Baby Pouches! We loved using them for when Baba goes to the nursery and we have a cool pack to give away! Disclosure: This is a collaborative post with BabyHub.